This should have resolved the issues you outlined here. I would like to share a story which could prevent your AdMob account to be suspended for 28 days. Happened to me already, hope you can prevent it. If you have ads in your Android app, this is article is a must! 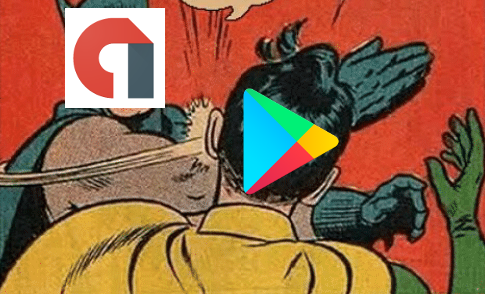 For a while you are able to have a pre-launch test in the Google Play Store, which is a great feature, your apk will be tested against the most popular devices for free. You can even submit a test account, so an app which uses login credentials means no obstacle. There is no need to have a wide range of physical devices any more. Once you active the service all your alpha and beta apps will be tested and the test will start automatically once a new apk is uploaded. I didn’t even think about turning it on immediately. The problem is when you forget about it and you have ads in your app. It had been a while, but I didn’t get a chance to test it since I had no apps in the development pipeline. Recently I uploaded a new beta and a few days later I got a mail from Google that my AdMob account is suspended because I clicked on my own ads. That the hell? I complied all the rules. I never use real ads for testing. Suddenly I remembered that it might be the pre-launch test. Bingo. The revenue and ad views for the day I published the beta jumped high so that must be the reason. Now I cannot even login or display any AdMob ads for the following 28 day. No appeals, only threatening. Thanks, Google. Both products are managed by Google. Why don’t they solve somehow that the test is not clicking on any ads or even better, not even displaying them? Apps are tagged whether it contains ads or not. Why don’t they show some kind of a warning when I upload a beta apk that this will generate fraud clicks. Pre-lunch report is basically useless for apps with ads. The real use of the beta and alpha release is to test your apk and then release the exact same version to all users in the store. But with this limitation you are forced to release a different version of your apk just to have the report. There is no option to turn the tests of for separate apps. Fine, I could live without the pre-launch report for apps with ads, but I can only manage this setting globally. So you either have it for all apps in your developer account or not.